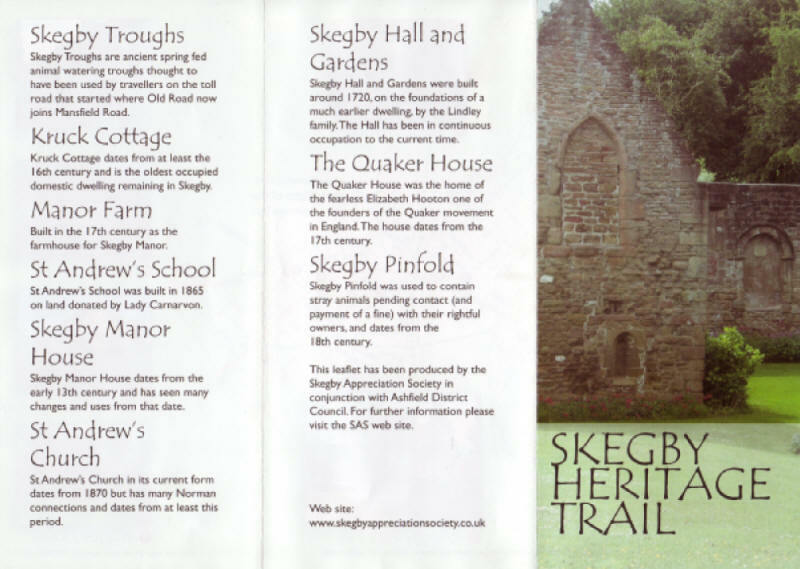 The Skegby Heritage Trail has been established to promote the history of Skegby and to provide a short trail to discover some of the historic sites that many of us pass daily but do not recognise there significance. 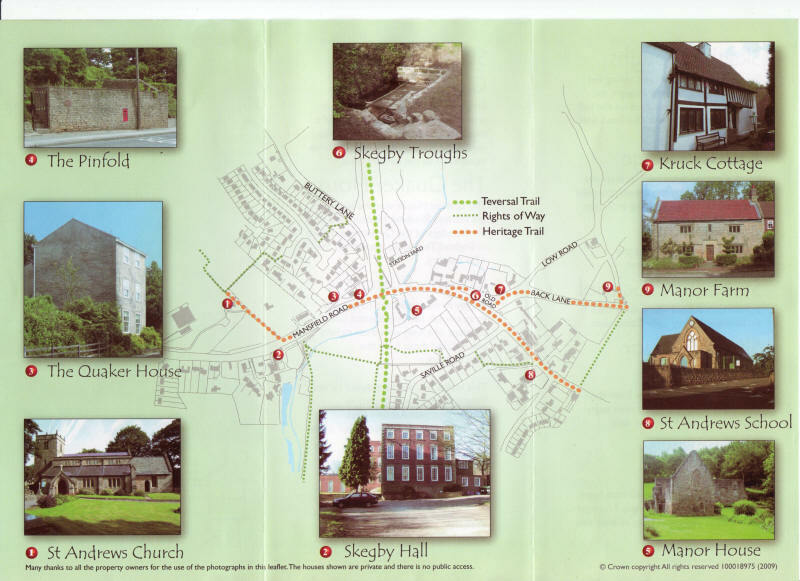 The Trail is to be formally launched on 26th September 2009 at St Andrews Parish Hall, Mansfield Road between 11am and 2pm, all are welcome. The trail includes 9 sites of interest all within easy walking distance with all sites marked with a bronze plaque giving a brief commentary on the site. The sites chosen are not the only examples of historic significance but are the most recognisable and it is hoped that they will inspire the visitor to explore further themselves. The following images are of the explanatory leaflet that is available locally and is also displayed on a sign board near to the junction of Mansfield Road and Old Road.